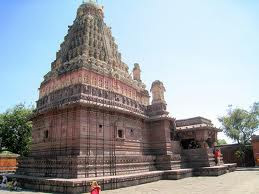 Here is Some Information about Ghrishnesh India.war Temple in Ghrishneshwar Maharashtra india. The very devout Shiva devotee, Bhosale (The Patel or chief of Verul) once found a treasure hidden in the snake pit (ant hill) by the grace of Lord Grishneshwar. He spent that money to renovate the temple and built a lake in Shikharshinganapur. 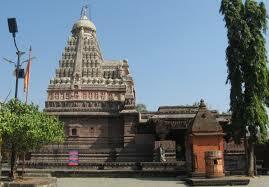 Later on, Goutamibal (Bayajabai) and Ahilyadevi Holkar renovated the Grishneshwar temple. 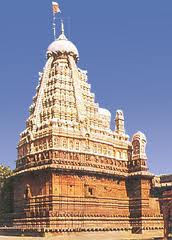 This 240ft x 185 ft temple is still there strong and beautiful as ever. 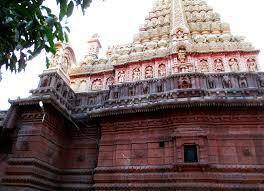 Halfway up the temple, Dashavataras are carved in red stone. These are beautiful to look at. There are also other beautiful statutes carved out. A court hall is built on 24 pillars. On these pillars there are wonderful carvings. The scenes and paintings are beautiful. The Garbhagriha measures 17ft x 17 ft. The Lingamurty faces eastward. There is a gorgeous Nandikeshwara in the court hall. 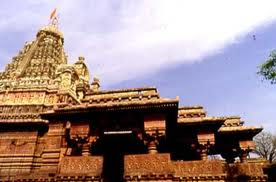 Ghrishneshwar Temple is a very revered temple, situated in the state of Maharashtra. It lies very near to the Buddhist caves of Ellora, only half a kilometer away, and serves as the abode of one of the 12 Jyotirlingas in India dedicated to Lord Shiva. Even the Ajanta Caves and Dulatabad town of Maharashtra are situated nearby. 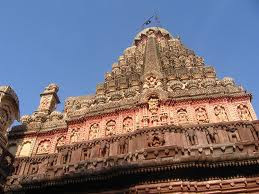 The temple, with exquisitely sculpted walls, was built under the patronage of Queen Ahilyabai Holkar, one of the rulers of the erstwhile state of Indore. 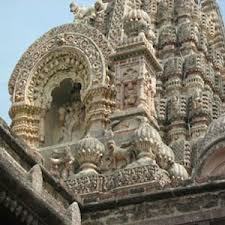 Fine architecture and great artistry of stone carvers characterize this impressive structure. 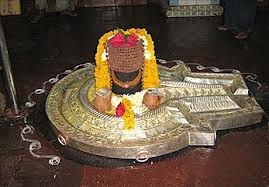 The Shivlinga resides inside the inner chamber of the temple. Outside this chamber a large statue of Nandi is present. Covering Nandi is the Sabha Mandap of the temple. 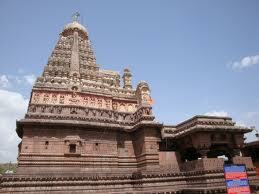 It occupies the major portion of the temple and offers seats made from stone. Various tales can be seen carved on the pillars of the Sabha Mandap. These carvings feature fine details and notable artistic ability. The exterior walls of the temple are full of various carvings. Several mythological tales are carved here. Amongst these the statues showing ten incarnations of Lord Vishnu stand out. The conical top of the temple, which was probably built later, also has carvings with fine details. The figures here are masterfully carved and possess very expressive gestures. The temple has a gilded crest made of copper. Resting inside a square shaped ground, having pavement and a surrounding stonewall, and the Ghrishneshwar temple is a fine example of ancient building work.